It's the time of year where photo galleries of intricately carved pumpkins put that figurative Frankenstein's Monster outside your doorstep to shame. Sorry, your jack-o-lantern simply doesn't measure up to what the folks at NASA's Jet Propulsion Lab can put together when they turn their attention from the stars toward pumpkin patch. NASA JPL holds an annual pumpkin carving contest and the competition is fierce. As you might expect, there are some mind-boggling science-inspired works featured at the party. 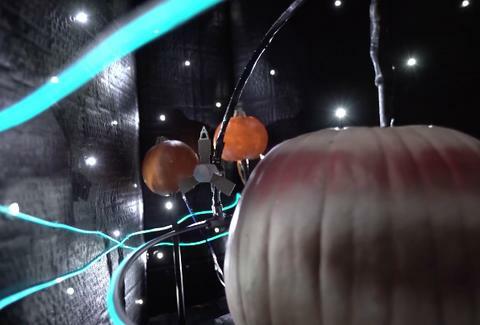 Their pumpkins sport flashing lights, moving mechanical components, and high-concept execution. Prescient, because a surprising number of people would like to vote for Meteor 2016 over what's being offered. They call it a competition, but like any elementary school competition worth its salt, everyone is a Hallo-winner. NASA JPL doesn't select a favorite from among its children. But you can if it makes you feel better. The majority of the entrants are included here, but take a look at some high-quality video over at Flickr or check out the Twitter Moments page dedicated to the pumpkins to see each and every space age squash.